Brian Dunning, host and producer of the Skeptoid Podcast, which I listen to like clockwork on my drive home from work every Tuesday, recently posted a piece on the Skeptoid blog regarding the ceasing of The Amazing Meeting. I also read a couple posts recently on social media positing if CSICON or NECSS could be the successor to T.A.M. as the premier skeptical conference. One post wondered if the spirit of TAM could be repeated at one of them. I nearly posted a comment on Dunning’s piece, but my thoughts are a bit too much for a comment. We were only lucky enough to attend one T.A.M. This was T.A.M. 2014. The final one held at the South Point Hotel Casino Spa, and the second to last T.A.M. to be held. After attending in 2014, I posted two pieces on my attendance. My thought in authoring them was for the two posts to be read by people thinking of attending a T.A.M. to help in making a decision. One post focused on the location and the logistics of attending the meeting, and the other post gave my thoughts on the event itself. Little did I know my posts intended target were never to be materially useful ever. My overall opinion of T.A.M. 2014 was quite positive, and I still harbor my happy thoughts on my attendance. At the time I assumed T.A.M. would continue as is as an event and at the South Point. T.A.M. 2014 was the sixth T.A.M. to be held at that venue. From talking to T.A.M. veterans my impression was it was quite a successful meeting if not the best T.A.M. yet. At the close T.A.M. 2014 Randi spoke of the future of the JREF with Mythbuster Adam Savage joining the JREF Board of Directors (or some higher office in the organization) and new initiatives in education that the JREF would kick-off in the coming year. The 'drama' at my meeting was minimal. The Del Mar was fun. All seemed well. The future felt bright. Within a very short time it all began to become undone. D.J. Grothe was unceremoniously sacked as JREF President. * The JREF announced that its Los Angeles office was closing, and that while a search for a new JREF leader was underway, Randi would step back into the role of President. In the end no new leader for the JREF was found, and Randi took a deserved retirement from the JREF. The JREF spun off its Forums making some JREF members not very happy skeptics. The JREF, to its credit, did manage one last T.A.M. this time held on the Las Vegas Strip, and from all accounts it was a rousing success. As the theme was a celebration of the reasoned life, i.e. Randi, for his years of skeptical activism this meeting seemed the swansong of T.A.M. Ultimately, the JREF announced it was moving out of the public eye, no longer accepting donations, and taking a more subdued background role in supporting skeptical activism. T.A.M. is no more. I do not begrudge Randi’s retirement one iota. He did his share and more. While Dunning posits that the JREF did not fail and “the demise of TAM and the JREF happened for exactly the right reason . . .” i.e. Randi was moving on. I do not concur. While this is my own speculative bias, I cannot help but think that the long term plan for the JREF and T.A.M. was for the organization to continue past Randi’s personal tenure. Hell, a freaking Mythbuster was joining the Board, and new initiatives announced months prior to Randi’s retirement. Skepticism would be stronger if T.A.M. continued Randi’s skeptical legacy in his personal absence. That Skeptics gathered to be at their mentor's feet is largely nonsense, but arguably the larger view is that a bunch of free thought geeks were following some eccentric atheist escape artist wizard first, and concerning themselves with rationalism second. I suspect that was not Randi’s intended legacy, but there one has it. 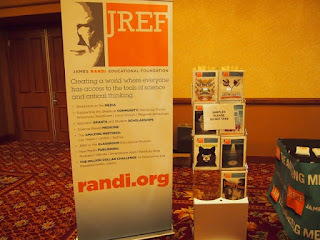 With Randi's retirement, the JREF as it was went away, and T.A.M. vanished into history. On whether CSICON, NECSS or some other current conference can carry the torch for T.A.M. for me seems unlikely. The JREF forums, Randi, the increase of the number of skeptics with the rise of the internet, T.A.M.’s connection with the SGU as that singular podcast gained in popularity is a cocktail with a camaraderie that just can’t be reproduced. This is not to say that at some point some new conference may arise as the premiere skeptical conference in the future. I suspect it will be born out of some new or now little known group of like-minded skeptically inclined folks. T.A.M. made an effort to focus on Skepticism and not atheism, humanism, and various social justice crusades. It was not a part of a larger event such as occurs at DragonCon. 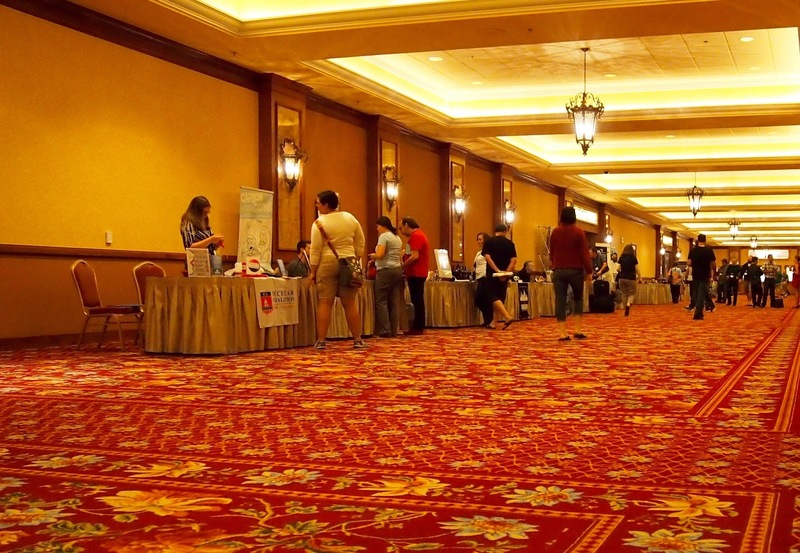 It was the place for skeptics to meet, discuss, socialize, and just be skeptics. I do hope any future Skeptic Conference learns from T.A.M. and can outlast one person’s career. A lot of people put in a lot of effort to make The Amazing Meeting amazing. Hopefully, future such efforts if they come to pass with similar efforts will have a longer tail. 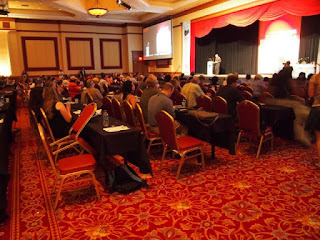 As Dunning invites his readers to, so do I hope to attend another Skepticon someday. My guess is it will be NECSS. It is a few hours away by train, and it is not the madhouse that is DragonCon. I would like to attend a woo friendly Con as it's a known cultural competition. I always enjoyed following all the social media chatter during a T.A.M. from home, and am very glad I was able to attend one ourselves. Skepticism is poorer for it ceasing to exist. It is poorer for how it ceased to exist. She was often criticized as a hypocrite for seeking treatment in advanced western hospitals when she got sick at the end of her own life, while patients withered and died in her missions, but I have trouble seeing it this way. Teresa never claimed to give medical care. . . . . We did. Her Western admirers, in love with a fictional image, created the merciful nun who healed the sick and tended to the poor. We made the bogus documentaries and gave her undeserved awards and honorary degrees that had nothing to do with her real work. She never asked for any of them. Whether Mother Teresa deserves to be saint is up to the Roman Catholic Church. They can canonize whomever they desire. It's their club. I still suspect today the vast amount of people who admire soon to be Saint Mother Teresa still do not have a firm grasp of what she actually believed and practiced. That's a shame. Sometimes I agree with Dunning whole heartedly, and others I do not. I do respect the man's output. His latest episode like nearly all of his episodes is worth the listen. Far greater than the erratic once in a blue moon pace I have been on for the last year or so. *I have no idea if his removal was deserved or not. The how it occurred and was transmitted to the Skeptical Community left a lot to be desired. Labels: Dunning, JREF, Mother Teresa, Old Calcutta, Reflections, Skepticism, skeptoid, T.A.M.